Boston downtown skyline. The tall buildings (from left to right): First National Bank Boston, The Landmark at Federal (Art Deco style with gold roof), 100 High Street, Keystone Building (white with rounded corners), and 125 High Street. Boston architecture. The glass-walled Exchange Place stands behind the post-modern 75 State Street. The Custom House Tower stands behind the Grange Exchange. Boston harbor. Marriott’s Custom House Hotel (formerly Custom House Tower) is in the distance and the Marriot Long Wharf is on the right. Boats at Long Wharf, Boston, Massachusetts. Frank Gehry’s Stata Center at MIT in Cambridge, Massachusetts. I had no idea the earthquake was that bad! Dunster House tower, Harvard University, Cambridge, Massachusetts. The fictional character Skylar lived here in the movie Good Will Hunting. Northern end of Weeks Footbridge. Leverett Towers and Dunster House from Weeks Footbridge, Harvard University. Rower on the Charles River from Weeks Footbridge. Weld Boathouse, Harvard University (and yes there is a Tuesday Weld connection). 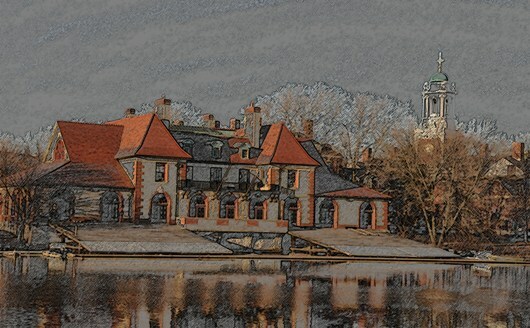 Weld Boathouse and Eliot House. This view from Anderson Bridge includes Weeks Bridge, Dunster House, and Mather House. At 199 feet Mather House is the tallest building on campus. One of two lanterns atop Weld Hall, Harvard University. Weld was JFK’s freshman dorm. Looking across the Old Yard toward Hollis and Stoughton Halls, Harvard University. 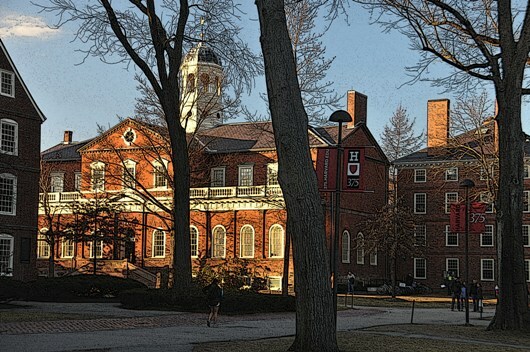 Widener Memorial Library, Harvard Yard. The woman in a yellow scarf is smiling at my grandson, John Alexander Caldwell. This was Jack’s first visit to his father’s alma mater (2000). Class of 2033? Video of the 2012 graduation ceremonies in Tercentenary Theater (42:30 to 44:12 shows how it begins): http://www.youtube.com/watch?v=3c0EsQjnJ-4. Student Orations at 2012 Harvard Graduation (all good, but the Latin Oration by Michael Velchik is special): http://www.youtube.com/watch?v=vB2tFosxHX4. Tappan Zee Bridge on the way home.